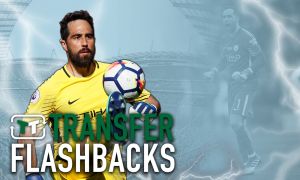 Chinese club linked with move for Man City superstar | The Transfer Tavern | News, breakdown and analysis on all things football! There have been some crazy transfer rumours floating around the Tavern in recent months, but our resident Manchester City fans over by the bar have laughed off one of the latest rumours which claims that Chinese club Jiangsu Suning are looking to sign Yaya Toure. The Daily Star suggest that the Chinese outfit are ready to offer the midfielder an incredible £230,000 per week after tax in order to attract him to Asia. Jiangsu are also said to be prepared to offer City £10 million for the 32-year old, who is only contracted to the Etihad side until 2017. 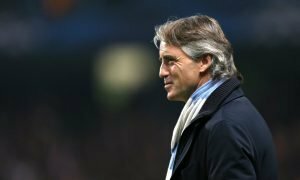 Recent media speculation suggests that the Ivory Coast powerhouse has an uncertain future with the Blues, with former Barcelona boss Pep Guardiola rumoured to take over in the summer, a man who didn’t have a great relationship with the Ivorian during the duo’s time in Catalonia. Meanwhile, City have recently established links within China having secured a £265 million investment from a media company. Chinese club Jiangsu are backed by a billionaire owner and have already submitted a £15 million bid for Inter Milan striker Fredy Guarin, whilst it is said that a similar offer is about to be made for Brazilian striker Luiz Adriano who plays for Inter’s rivals, AC Milan. Our landlord thinks that, while a move to China might be unlikely, Toure will probably depart City if Guardiola comes in at the helm. Manchester City fans, is Toure’s time up at the Etihad? Let us know in the comments below!